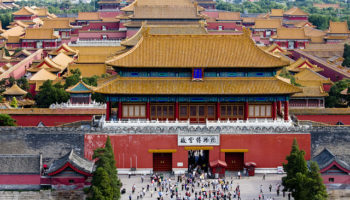 Beijing is a top destination for travelers to China, but the Chinese capital is huge and teems with millions of people. When the city’s hustle and bustle starts getting on your nerves, it’s time to hop a tour bus or grab a taxi and head out to the environs. 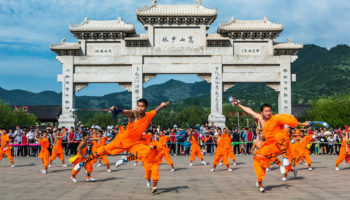 Then, you can enjoy the serenity of ancient Buddhist temples in the Western Hills or a scenic hike on the Great Wall, one of man’s greatest engineering feats. You’ll return from these day trips from Beijing refreshed and ready to tackle more things to see. Jietai is one of the oldest temples near Beijing. Constructed more than 1,400 years ago, it is an important Buddhist temple. Jietai also is known as the Ordination Altar Temple because it’s where monks and nuns achieved their highest status. Located about 22 miles outside of Beijing, Jietai is affiliated with the Lu Sect of Buddhism and is the largest ordination temple in China. There are a number of halls devoted to Buddhist deities. Check out the vegetation, including five ancient pine trees and the 1,000 lilac trees that offer a fragrant, splendiferous scene in the spring. Lying just to the west of Beijing, Jietai Temple only takes 45 minutes to get to from the center of the capital. Simply hop on a subway to Pingguoyan Station; from here, it is just a short bus ride away on line 948. As these don’t depart all too frequently, you may find it quicker to take a taxi to Jietai Temple, which lies just across the Yongding River. Simatai is perhaps the most exciting section of the Great Wall accessible to visitors. It is nothing short of awesome to see the Great Wall snaking over the tops of the mountains. Simatai is less crowded than other Wall sites. It hasn’t been fully restored yet, so it’s a good opportunity to see parts of the original wall. Simatai is 5.5 km (3.4 miles) long with 34 towers, though only 10 are officially open to the public. Steps are steep in the restored section, and you should be careful if you hike beyond this area as drop-offs are steep. Visitors wishing to take a trip to Simatai and see its amazing section of the Great Wall have a couple of options available to them. For instance, each day a few tourist shuttle buses run from Dongzhimen Bus Terminal directly to Gubei Water Town, which lies at the foot of the Great Wall. The bus ride takes two hours, but make sure to check the schedule in advance as it is very infrequent. Another way is to take bus line 980, which again departs from Dongzhimen Bus Terminal. 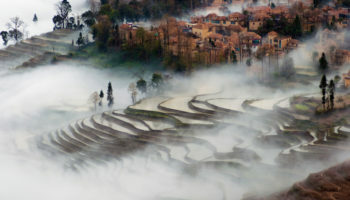 This, however, will only take you to Miyun Xidaqiao where you’ll then need to hop on bus 51 to Gubei Shuizen. This option should take you two to two and a half hours depending on the transport connections. If you want to avoid the hassle of getting there yourself, a guided hiking tour of the Great Wall might be easier. This full-day tour takes you to one of the most beautiful stretches to hike along. Over the course of the day, you’ll walk from Simatai West to Jinshanling Pass. With stunning views wherever you look, hiking along this historic and impressive human-made monument promises to be an unforgettable experience. See trip reviews & prices. Tianjin makes a good day trip from Beijing since it’s only 105 km (66 miles) southeast of the capital. 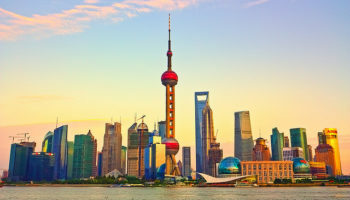 This fourth largest city in China is an important port city, with exciting modern architecture that blends with the British and French buildings of the 19th century. Ancient Culture Street is a good place to pick up souvenirs and take in the Queen of Heaven Palace dedicated to a sea goddess. 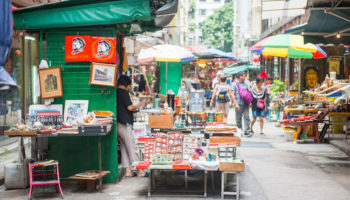 When shopping makes you hungry, head to Nanshi Cuisine Street where you can choose from more than 100 shops and restaurants. Check out Tianjin Eye, reportedly the only mammoth Ferris wheel built over a bride. As high-speed trains run very frequently between the two cities, it takes almost no time at all to get to Tianjin from Beijing. Hop on a bullet train at Beijing South Railway Station, and you’ll find yourself in Tianjin just half an hour later. Tianjin Railway Station lies in the center of the city, so once you arrive, you’ll only ever be a short bus or subway journey away from all the main sights. Jinshanling, located about 130 km (80 miles) northeast of Beijing, is named for the mountains in which it lies. This 14th century section of the Great Wall is about 10 km (6.5 miles) long. It’s popular with hikers, especially those who want to hike between Jinshanling and Simatai. If you hike between the two, you’ll come across 67 watchtowers, three beacon towers and five passes. Be on the lookout for the General Tower, a large structure that had sleeping quarters on the top floor and storage facilities on the bottom floor. By public transport, Jinshanling is around two hours away. 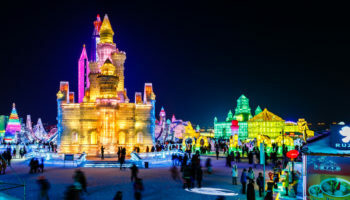 To get there, you first want to take a bus or jump on the subway and head to Wangjing West subway station before hopping on a bus towards Luanping. The bus ride should take an hour and a half, and you will get off at Jinshanling Scenic Area. Here, you’ll find shuttle buses to either of the two entrances. 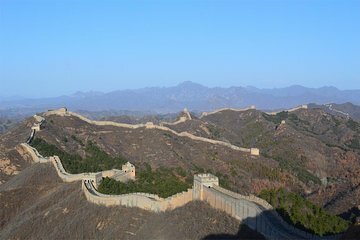 A lovely way to visit Jinshanling is to take a guided hiking tour of the Great Wall. The scenery on show is absolutely stunning. As you hike along the wall, your guide will tell you all about its impressive history, pointing out sights as you go. It is one of the most famous stretches of the Great Wall to hike along, and after all your hard work, you’re rewarded with a satisfying and delicious lunch at a local restaurant before driving back to Beijing. See trip reviews & prices. Located in the Western Hills, Tanzhe Temple is the oldest temple near Beijing, dating back about 1,700 years. In centuries past, the Buddhist temple was a destination for pilgrims, including members of the imperial family. Several stately halls are devoted to Buddhist deities, with a touch of whimsy thrown in at the Pavilion of Floating Cups. Poets floated cups filled with wine on a winding, narrow stream of water; when the cup stopped, the nearest poet had to drink the wine and recite a poem. When the skies are clear, Tanzhe is a good place to see stunning views of Beijing below. Lying to the west of Beijing, Tanzhe Temple is best reached by bus; number 931 will take you directly to the temple from Pingguoyan Station, which you can get to on either Subway line 1 or by bus 336. The journey takes just over an hour, and at Tanzhe Si stop, you’ll find signs directing you to the temple. If you want to learn more about China’s fascinating history and cultural heritage, then taking a guided tour to Tanzhe Temple is not a bad idea. With a professional guide at your side, you’ll explore the beautiful Buddhist temple and get to see its many pagodas before visiting Cuandixia Village – a charming place that is home to lots of traditional houses dating from 1403 to 1424. See trip reviews & prices. Juyongguan is one of three famous passes on the Great Wall. The others are Jiayuguan, where the Great Wall begins in western China, and Shanhaiguan, where the Wall ends at the Bohai Sea in eastern China. Considered impregnable from invaders, this stretch of the Wall features many buildings, such as towers and temples. It’s the site closest to Beijing, but many travelers and tour buses pass it by in favor of seeing the Great Wall at Badaling. The pass is circular and less than 5 km (3 miles) long so you can walk around it in a day. To get to Juyongguan from Beijing is quite simple by public transport; all you need to do is take subway line 13 to Longze Station and hop on board the 68 shuttle bus that will take you directly there. Once you arrive at Juyongguan Pass, you’ll find signs pointing the way for you. All in all, it should take about an hour and a half to get there. Another option is to take a guided tour that not only takes you to Juyongguan but also to the spectacular Ming Tombs. After climbing up to the Juyongguan Pass, you’ll learn all about its history and how the Great Wall was built from your knowledgeable guide, before venturing along the Spirit Way to visit the impressive Ming Tombs. See trip reviews & prices. The Ming Tombs are one of the most important imperial cemeteries in China. The remains of 13 Beijing-based Ming emperors are buried here. More emperors are buried here than any other place in China; the Ming Tombs also are the best preserved mausoleums in the country. Each emperor is buried in a separate mausoleum at the foot of a mountain; not all tombs are open to the public. As you enter the site, en route to Changling, the first tomb, be sure to stop on the Sacred Way, a road that is lined with massive stone sculptures of animals. The simplest way to visit the sacred Ming Tombs by public transport is to head to Deshengmen Bus Terminal and take line 872. This bus runs very frequently, and the journey should take around an hour to either Changling or Dingling, where you get off. At each of these stops, you’ll find one of the Ming Tombs for you to visit, and signs will direct you where to go. As the mausoleum is so large, the tombs are quite spread out, so it is a good idea to research which one you want to visit in advance. Many people who visit the Ming Tombs decide to combine it with a trip to the Great Wall; the best way to do this is to take a guided tour. After visiting the Badaling section of the Great Wall and basking in the breathtaking scenery, you’ll be taken to see the magnificent Chang Ling Tomb. Here, you’ll learn all about both these fascinating sights from your expert guide. With a visit to a Longdi Jade factory included, it is an action-packed day out to that is as fun and friendly as it is interesting and informative. See trip reviews & prices. Mutianyu, about 65 km (40 miles) north of Beijing, is one of the best preserve sections of the Great Wall. It’s also one of the more scenic sites, though other sites are by no means shabby in the looks department. Vegetation along the Wall is a lush green, with flowers in the spring with fruit and gorgeous fall colors in autumn. Be prepared for snow and freezing temperatures in the winter – you are, after all, in the mountains. There’s a cable car to whisk you to the top, but if it’s not running, you’ll be walking up a 3,000-step steep hill. 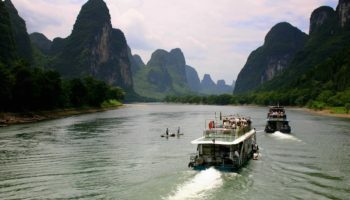 If you want to get to Mutianyu by bus from Beijing, then head to Dongzhimen Bus Station and take the once a day shuttle bus that runs straight to Mutianyu Great Wall, departing at 8.30 AM. The alternative is to take the 916 Express, which runs very frequently from the same station. At Huai Rou Bei Da Jie stop, you should disembark. From here, you can take a half hour taxi ride to Mutianyu Great Wall, or bus H23 – although this doesn’t run very regularly. The taxi is more expensive but will save you time, as the bus takes 50 minutes. Once you arrive, you can either take a chairlift up to the Great Wall, or get some fresh air and exercise as you hike there. Depending on whether you take the taxi or bus, the whole journey will take an hour and a half to two hours. If you don’t fancy navigating public transport, then taking a guided tour is certainly an easier and more convenient option. Tours take you to see the most impressive parts of the Mutianyu section of the Great Wall. As you go, your guide will tell you all about its fascinating history. As well as providing you with a delicious lunch and transportation there and back, you will also visit a Cloisonne enameling factory; an intriguing addition to the tour. See trip reviews & prices. Badaling is the best preserved and restored section on the Great Wall. 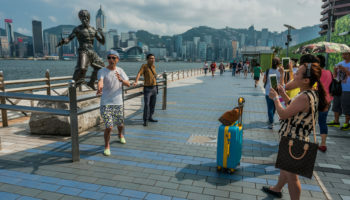 As such and because it’s easily accessible from Beijing, it is the most popular section and can be heavily congested with tourists. You may be able to avoid the crowds if you turn left at the main entrance and then walk up the hill, steeper than the right, for about 10 minutes or so. This is the section of the Great Wall where the Chinese government takes visiting foreign dignitaries. Badaling is home to the fabulous Great Wall Museum, which traces the history of the Wall. To get to Badaling from Beijing by public transport, visitors have a couple of options available to them. The simplest is to take a bus from Deshengmen Bus Terminal; lines 877 and the 919 Express will get you there in an hour and a half to two hours. Once you arrive, it is just a short walk to the Great Wall and the fantastic museum which will tell you all about it. Another option is to head to Huangtudian Railway Station in the north of the city and take an S2 train to Badaling Station. The journey takes just over an hour, and once you arrive, free shuttle buses are waiting to take you to the Badaling Great Wall ticket offices. 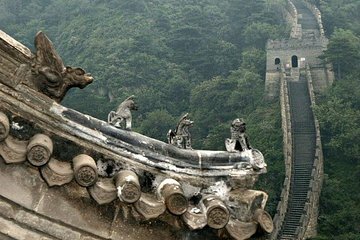 If you are pressed for time and want to see as much of this wonderful part of China as possible, you may want to join a guided tour that takes you to visit both the Great Wall and the stupendous Ming Tombs in just one unforgettable day. 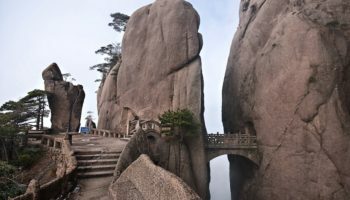 With a knowledgeable guide on hand, you’ll come away having learned all there is to know about both the impressive sights, and you’ll also get to visit an interesting Jade factory. See trip reviews & prices. good information and pictures,thanks for showing the world.